Improper lifting and carrying accounts for at least one third of all work-related injuries. Reduce costly work-related injuries from improper lifting with Safe Lifting training. 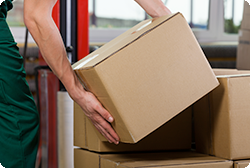 This online training module teaches employees how to lift and carry properly. Employees learn to prevent injuries to themselves and others by taking their time and by making safe lifting a habit.